Sometimes an image has to be resized in order to meet website requirements, or if you want pictures to be as close to perfect as possible. When it comes to fitting within a specific size, a picture resizer is a must. 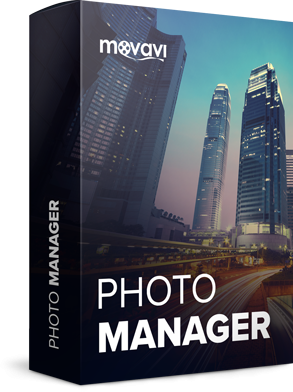 Try Movavi Photo Manager for free and resize images in RAW, JPG, PNG, and other formats. 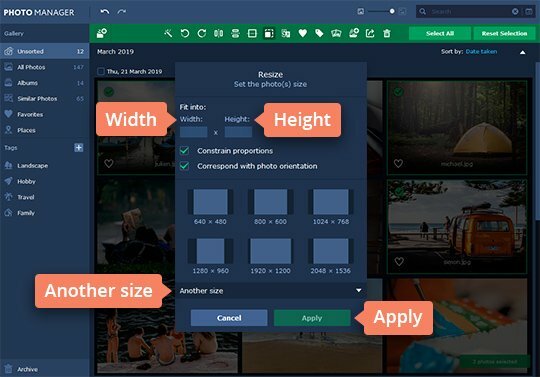 Download the Windows or Mac version of the program and read our easy guide to learn how to resize an image using Movavi’s fast editor app. Optimize your visual content for social media websites and other platforms. Make the best impression with your Twitter profile photo, Facebook cover, YouTube banner, or Instagram photo thumbnails. Follow the image guidelines, so that the size of the file you want to upload to a website is small enough. Make sure your pictures are less than the stated maximum size in MB or KB. Resize images if you want to print your entire photo. HD photos eat up lots of space on your hard drive. To solve the problem and reduce image sizes, use a photo-resizing tool. To install Movavi’s image resizer, download the installation file, launch it, and follow the on-screen instructions. 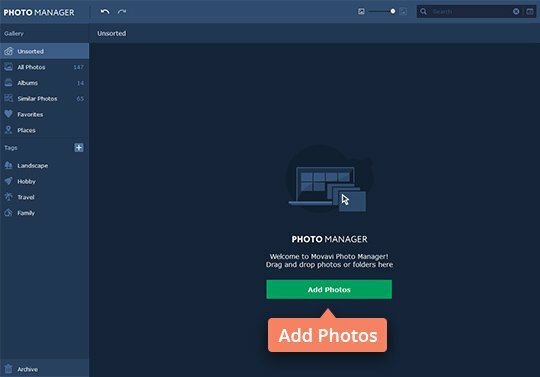 To open the pics you want to resize, click the Add Photos button or simply drag and drop images and folders onto the working area. Note that the originals are automatically overwritten after you apply changes. 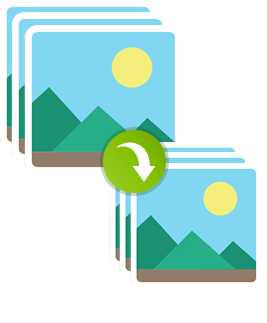 We recommend you save copies of original images before making changes to them. 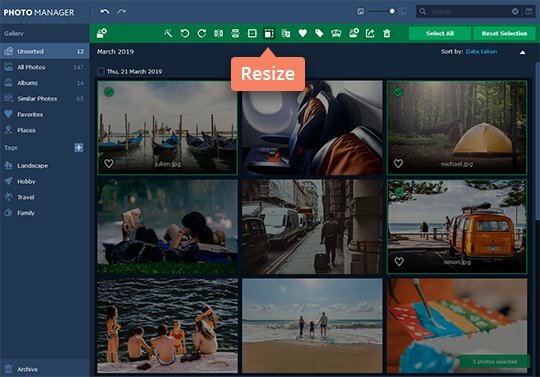 To downsize and enlarge digital photos in bulk, select the images you want to work with and click the Resize tool. Pick the desired size from presets; go to Another size to see more options. To set a custom size, enter the appropriate settings in the Width and Height boxes. Specify the size in pixels, percentages, inches, or centimeters. The Constrain proportions option, enabled by default, lets you maintain the aspect ratio of images when scaling. Once you’ve adjusted the settings, click Apply. Now you know that mass image resizing can be quick and simple.